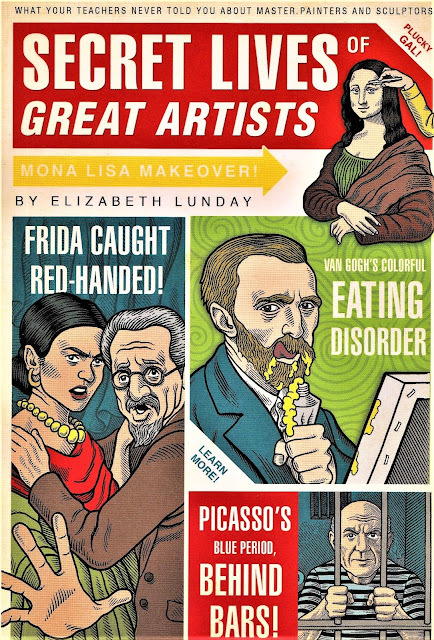 While at the Barnes Foundation in Philadelphia, picked up a copy of Elizabeth Lunday's wildly entertaining Secret Lives of Great Artists: What Your Teachers Never Told You About Master Painters and Sculptors (Philadelphia: Quirk Books, 2008), illustrated by Mario Zucca. Finished a first go-through in Amsterdam and will keep it as a gateway to more fun down the road. 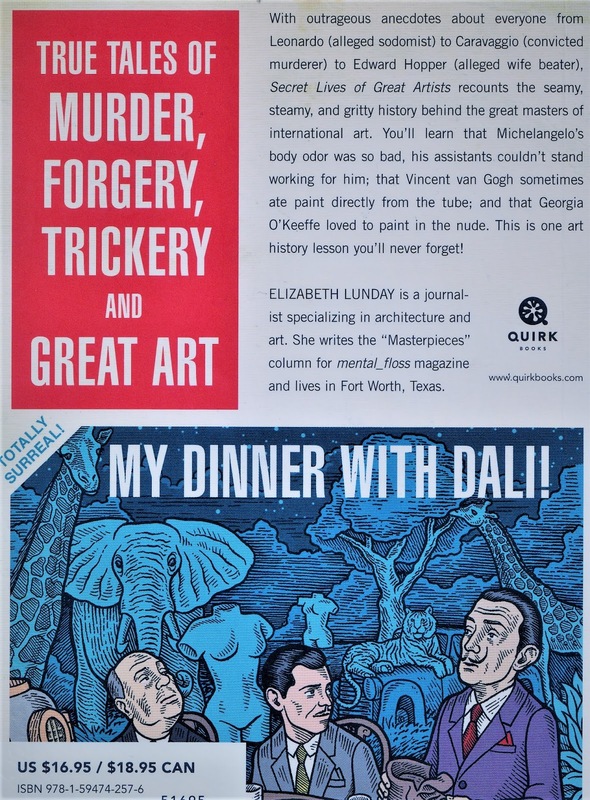 Lunday romps through the arcs and ripples of some thirty-seven artists, ranging from Jan van Eyck (circa 1385-1441) to Andy Warhol (1928-1987). Most of them, by the middling standards of today's bland social conformity and Trumpian stoogery, come off as right eccentrics. Many were free-wheeling Bohemians at heart, while some -- like Michelangelo Buonarroti (1475-1564) -- were downright bizarro. On my first reading, I found satisfying every jot and tittle of Secret Lives of Great Artists. Perhaps you will, too. A lot of readers will be familiar with at least some of the art made by these folks, by some of the artists, and by many of both. As Lunday notes of Edvard Munch's The Scream (Der Schrei der Natur, 1893): "It's probably a safe bet Munch had no idea this image would live on in popular culture, appearing on coffee mugs, in slasher films, and on episodes of The Simpsons." (page 174). By the way, there are four versions of The Scream. Can you dig? Wow, why hasn't someone thought of this kind of approach before. I definitely want this. Looks great.